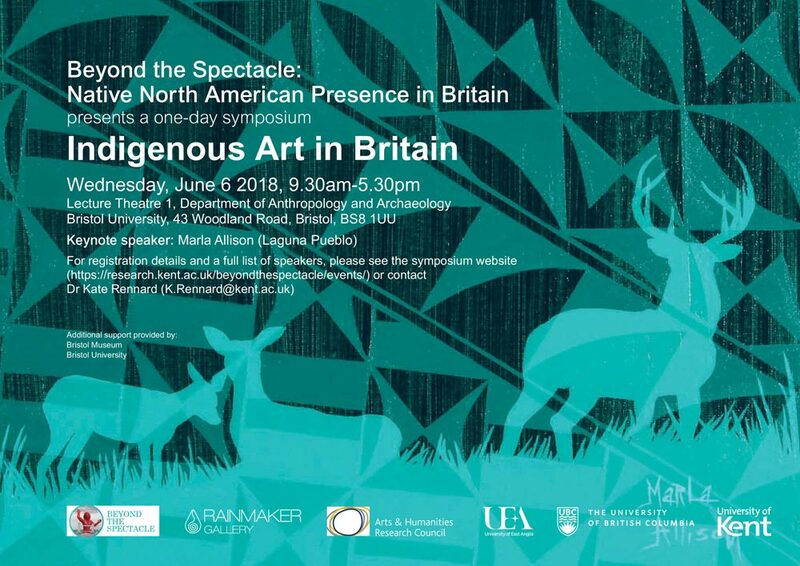 Learn about the presence and presentation of Native American and First Nations art in the UK directly from Native artists, curators and researchers at this one day symposium. Meet artists Marla Allison (Laguna Pueblo), Pat Pruitt (Laguna Pueblo and Chiricahua Apache), Sarah Sense (Chitimacha / Choctaw) and George Alexander (Muscogee (Creek)). This unique event begins at Bristol University Department of Anthropology and Archaeology on Wednesday 6th June, and ends with the opening of our summer exhibition Marla Allison: Painter From The Desert at Rainmaker Gallery. Marla Allison is our 2018 artist in residence. She will be in Bristol for one month from May 10th and will be the keynote speaker at the symposium.